Serving excellence unmatched in Atlantic Canada. The Lord Nelson Hotel & Suites offers the service of experienced and knowledgeable Catering Managers to answer any of your questions and assist you with your menu planning. We love to customize menus for any occasion and our Chef and team will impress even the most discerning palette with delicious local and global menu selections. Our Exective Chef, Tahir Salamat describes his culinary style as "Cuisine de Soleil", reflecting his philosophy of variety and diversity. Chef Tahir explains that "while the sun shines everywhere, every place is different". Chef is a member of La Chaine de Rôtisseurs, the Hotel Catering International Management Association (UK) and Les Toques Blanches (International Chefs' Club of Paris). He fine-tuned his diverse skills in cultural cuisine through previous posts in Qatar, Seychelles, Macao and Saudi Arabia. 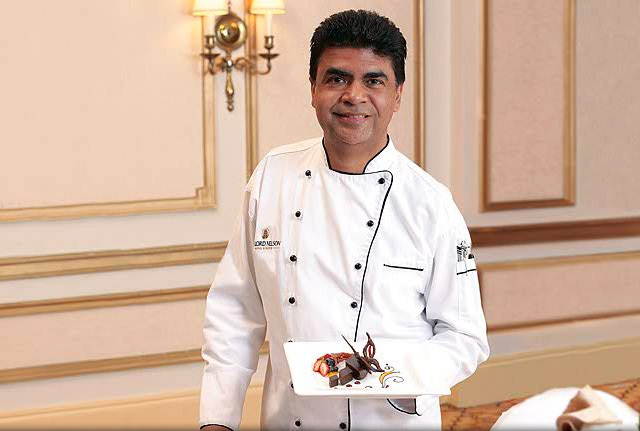 Chef Salamat and our planning team are happy to work with you to completely customize a menu for your event.